Jatropha plant oil can replace America's use of petroleum diesel! Watch this 14-minute video of a Congressional Forum! 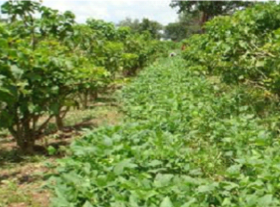 Read How Jatropha and Food Crops Thrive Together! EPA approves 100% Jatropha Plant Oil as Diesel Engine Fuel! Plant Oil Powered Diesel Fuel Systems, Inc. POP Diesel Fuel, consisting of 100% jatropha plant oil, competes with fossil fuel petroleum diesel fuel at a $0.50 per gallon discount. POP Diesel's sale of jatropha plant oil and POP Diesel's enabling, patented and proven dual-tank Fuel System have met with EPA's first-of-their-kind approval. Engine performance is better than petroleum diesel with real savings of $0.50 per gallon. For example, semi truck customers can recoup the $3,000 price of this equipment integrated into a new engine within six months and thereafter save as much as $50,000 in fuel cost over the truck's lifetime. POP Diesel will replicate its New Mexico state-certified, prototype Filling Station to establish the first nationwide network of Pure Plant Power™ Filling Stations selling truck fleets 100% jatropha plant oil, POP Diesel Fuel. In 2006 in Albuquerque, New Mexico, POP Diesel opened the first state-permitted fuel processing plant and filling station for cleaned, 100% waste vegetable oil in the United States. Since 2006, POP Diesel has retrofitted more than 30 different kinds of diesel engines with its patented, auxiliary Fuel System. Click here for a description of the POP Diesel Fuel System. 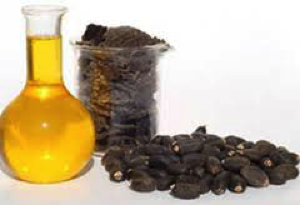 The advantages of relying on a source of pure plant oil like jatropha, versus waste vegetable oil, are that it offers consistent engine and emissions performance and the supply is limited only by the availability of environmentally appropriate tropical acreage. POP Diesel is developing a supply of low-cost jatropha plant oil to serve future customers with new POP Diesel-equipped engines. It has partnership teams in place to establish jatropha tree cultivation in the tropical areas of three continents to ramp up jatropha plant oil supply in the coming years. Click here to read about POP Diesel's sponsorship of farmers to grow jatropha trees together with food crops in an environmentally beneficial way to assure food security and an affordable supply of Pure Plant Power™. Copyright 2008-2015 Plant Oil Powered Diesel Fuel Systems, Inc. All rights reserved.